Rep. Duncan Hunter’s YouTube ad attacking his Democratic rival has received four Pinocchios — the worst rating, used for “whoppers” — from The Washington Post’s Fact-Checker column. In a 1,600-word story posted Monday and titled “Indicted congressman falsely ties opponent to terrorism,” the Post’s Salvador Rizzo examines a series of claims against Ammar Campa-Najjar. The story challenged Hunter’s claims regarding Campa-Najjar’s family ties. 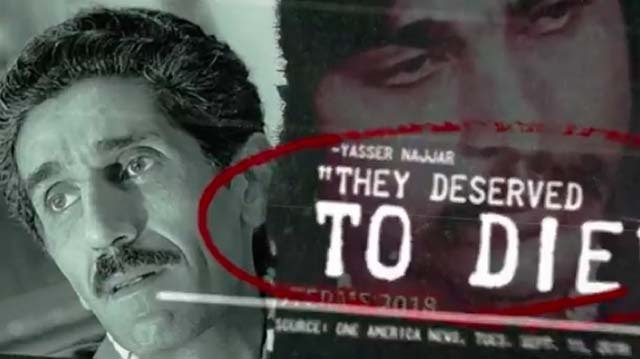 Among the claims are that Ammar’s father — Yasser Najjar — said: “They deserved to die,” referring to the Israelis killed by Palestinian terrorists at the 1972 Munich Olympics. “The U.S. attorney in San Diego, who was appointed by Attorney General Jeff Sessions, approved the indictment,” Rizzo said. A spokesman for Hunter didn’t respond to a request for comment. For his part, Campa-Najjar’s campaign put out a press release and linked to a video statement by Abby Campa — Ammar’s Mexican-American mother — denouncing, in Spanish, Hunter’s ad as racist. My mom Abigail Campa — a Catholic Mexican-American — condemning Hunter’s baseless, vicious, racist attacks.